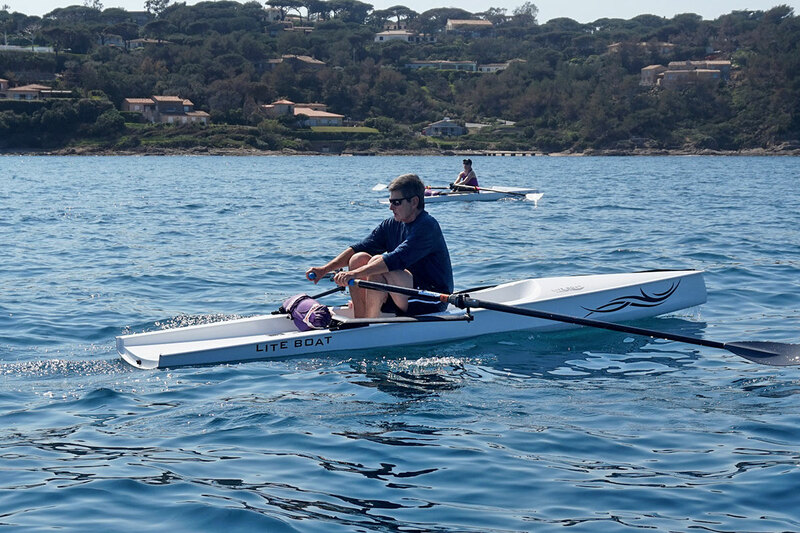 If you are looking to buy a rowing boat that is well designed, looks great, offers excellent performance; and is light, stable and easy to row; look no further than Liteboat and Row for Life. 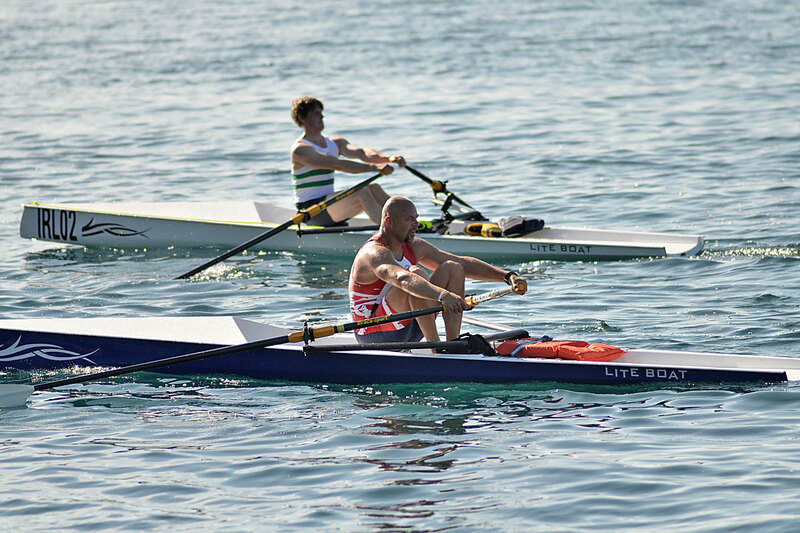 Row for Life (Coastal Rowing Centre Ltd) is the sole UK distributor for Liteboat. Liteboat manufactures a range of rowing boats suitable for rivers, lakes, and coastal waters, with a couple of boats in the range suitable for rivers and lakes only. The boats come in fibreglass or carbon fibre construction; and a range of colours. At the Coastal Rowing Centre we have the range of single and double coastal rowing boats available for demonstration purposes; we believe it is important that you try a boat before you buy. If you are interested in either of the quads, we can discuss possible arrangement to see the boats. If you would like further details in the boats, please contact bob@www.coastalrowing.co.uk. 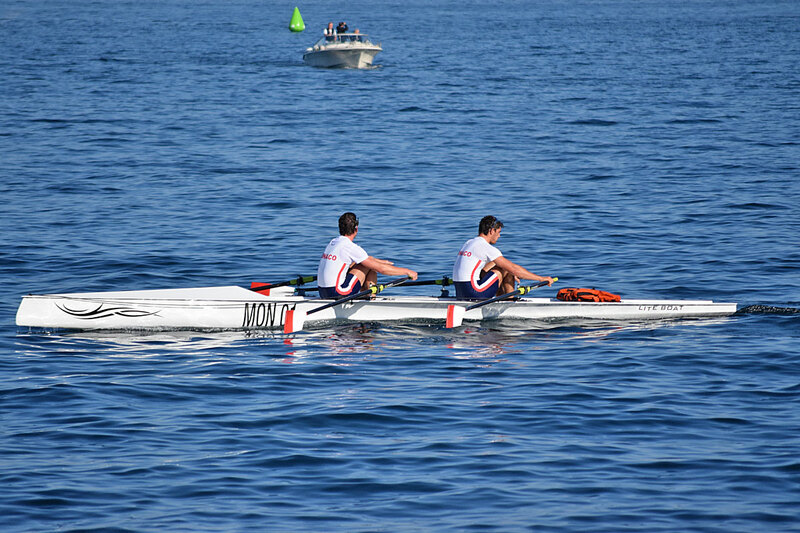 The LiteRace 1X is a FISA approved coastal rowing boat used in the British and World offshore championships as well as in the Beach Sprint races. 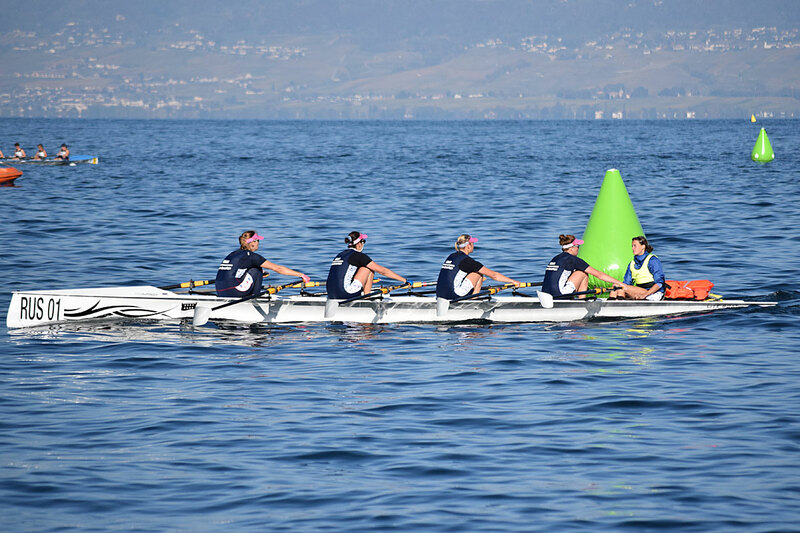 It is a great boat to row in both calm and choppy conditions, whether you are competing or just ‘going for a row’. Being 6m long and 35Kg, it is more suited to those with some rowing experience. 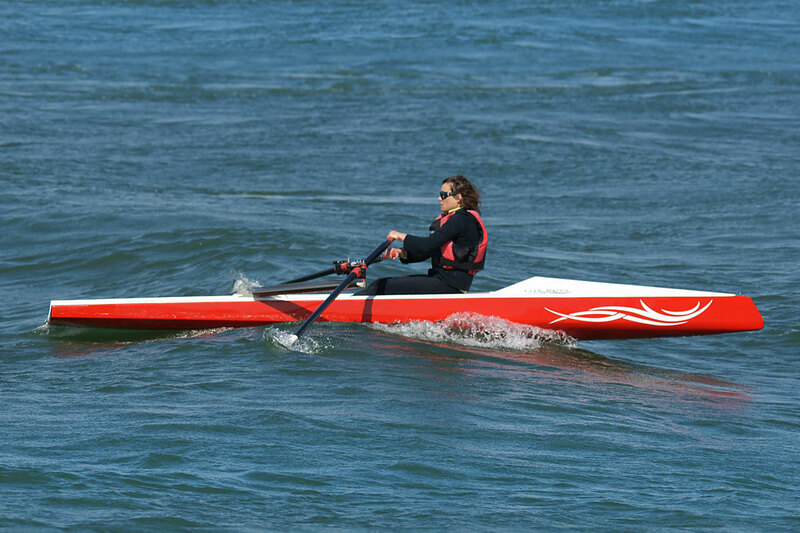 The LiteSport+ is for lighter rowers, under 85Kg. 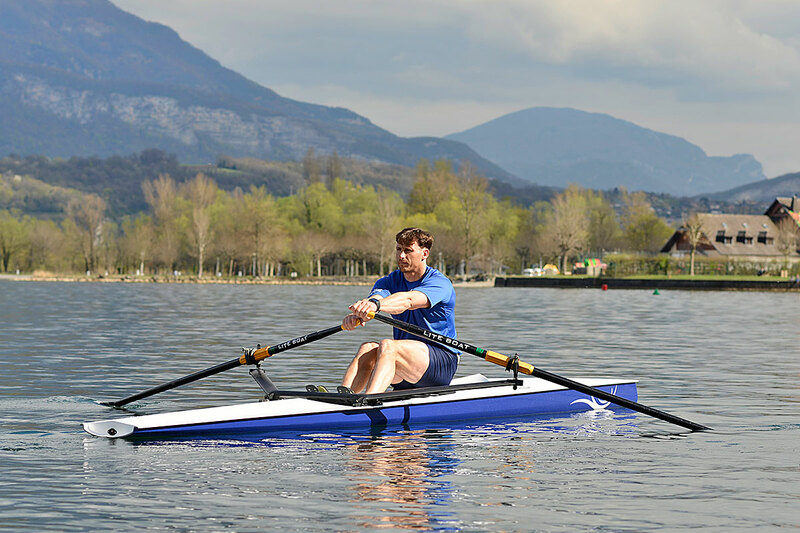 It is a great boat to learn in and will also give you plenty of enjoyment as you improve your rowing technique. The LiteSport+ is 4.5m long, 0.77m wide and 20-23Kg (without riggers) so is light and easy to handle. The LiteSport+ is a great boat for all seasons, as you can row throughout the year on lakes, rivers and the sea. The LiteSport 1X is adeal for beginners and as a general leisure boat. It is very stable and easy to row, so you can enjoy rowing without the fear of capsizing. It is suitable for rowers up to 130Kg. The LiteSport 1X is 4.5m long and 23-27Kg (without riggers) so is quite light and easy to handle. Though the LiteRiver was designed for rivers and lakes, we use this boat on the sea, when the conditions are right; it is a dream to row. It is 5.5m long and only weighs around 20kg, so is very easy to put on your car. The LiteRiver is light, narrow and fast and needs to be rowed by an experienced sculler. This double is an excellent coastal rowing boat used in national and international championships, winning medals in 2017 and 2018. It is 7.5m long, 1m wide, weighs 60Kg with riggers complying with all FISA standards. We are really excited about this boat as it is fantastic to row. The LiteSport 2X is a great boat if you want to row with a friend or family member. 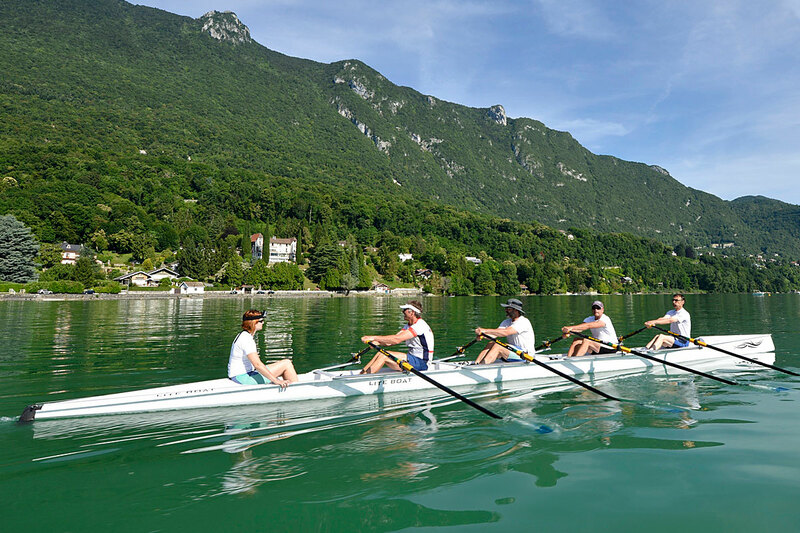 Also great for beginners if they want to learn to row with an experienced rower. A very stable and easy boat to row. This quad is an excellent and versatile rowing boat, suitable for novices, recreational and competition crews. It has exceptional stiffness with its internal carbon longitudinal beam and can be rigged both as a sculling quad and a sweep four with an easy to change rigger system. If taken in choppy waters, with it’s full deck it doesn’t sink even if full of water. It is 11m long, 0.87m wide, 0.49m high weighs just 67Kg and can carry a crew of up to 500Kg. It rows like a dream. 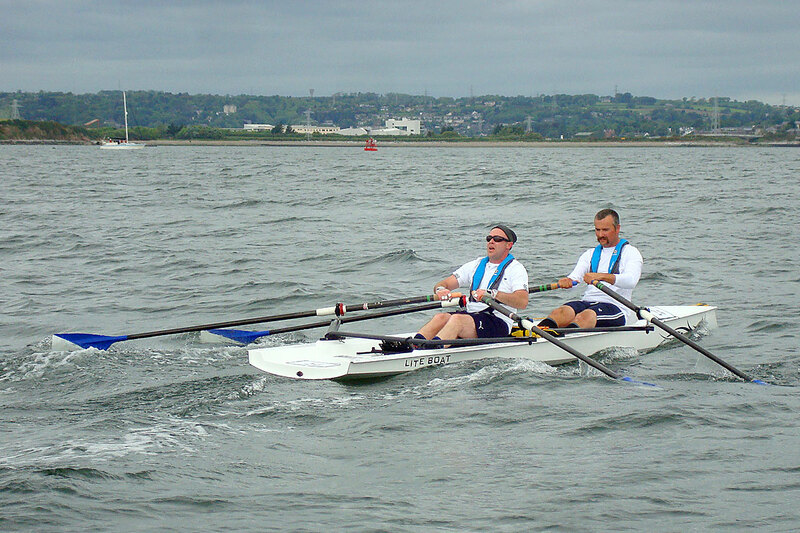 This quad is an excellent coastal rowing boat used in national and international championships. It has been designed to ensure stability in coastal waters while allowing for the same technique used by river rowers. It is 10.70m long, 1.31m wide, weighs 140Kg and complies with all FISA standards. The boat can be adjusted to suit each member of the crew; it has a liftable dagger board to allow the boat to gain speed and manoeuver quickly at buoy turns.